Looking for a fun alternative to wine or flowers for your Thanksgiving host or hostess this year? We have a few great ideas for you! Pamper the person who has spent a day in a hot kitchen by giving them a gift that nurtures their skin! After the guests go home, the host or hostess can unwind with this tingly and super effective pumpkin puree mask and wake up looking and feeling refreshed for Black Friday adventures! These are the PERFECT gift for healthy holidays! Both of these drink mixes are delicious hot or cold, are sugar and caffeine free, full of healthy natural ingredients, and a great alternative to high calorie, sugary holiday cocktails. Each bottle contains 60 servings. At the spa, we toss in a cinnamon stick and cloves for a perfectly spiced treat. This kit includes 5 assorted bath salt sachets to help a stressed-out host or hostess unwind after entertaining a house full of guests…and throughout a hectic holiday season. East Village Spa Gift Cards: Varies! If you’ll be staying with someone for a prolonged visit, nothing says “thank you!” like a trip to the spa! Plus now we’re offering an extra $20 treatment voucher to enjoy weekdays in 2015 with every $100 in gift cards purchased INSIDE THE SPA (excludes online gift cards) so the recipient can enjoy even more TLC in the new year. Shop local and save on Small Business Saturday! What if I don’t have an AmEx card? Even if you don’t have an American Express card, you can still take advantage of specials at our spa on Small Business Saturday. All Pure Inventions drink mixes will be 10% off and our gift card sale is in full swing! For every $100 in gift cards purchased in the spa (not online) you’ll receive a $20 voucher toward weekday services in 2015! We’ll have fancy chocolates out for you to enjoy and the first 15 people who purchase a retail item (excluding a gift card) will get a “Shop Local” tote bag and pin. 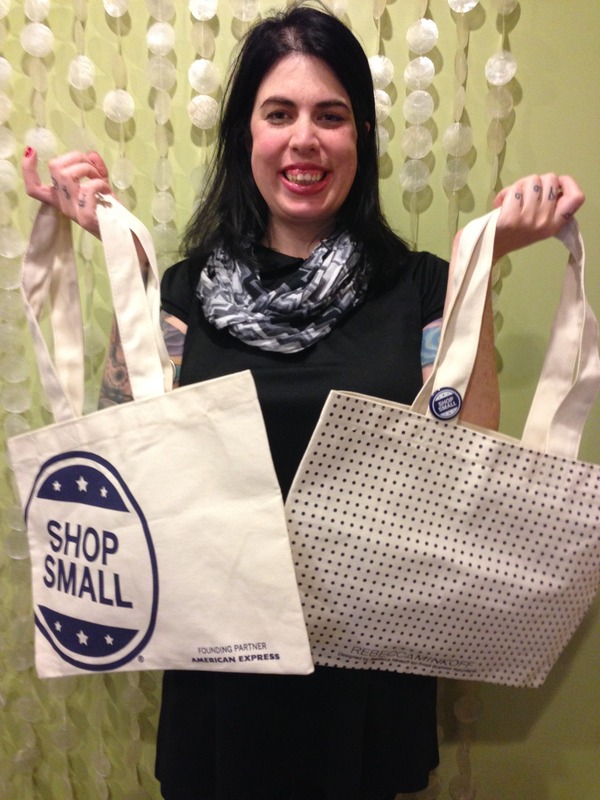 The first 15 people to purchase a retail item on 11/29 (regardless of what kind of credit card) will get a free “Shop Local” bag! I want free money! How do I get an AmEx Statement Credit? According to the American Express website, you can earn a $10 statement credit if you register your Amex Card and then spend $10 or more in a single, in-store transaction at a qualifying small business appearing on the Shop Small® Map available at ShopSmallNow.com. If your transaction qualifies, you will receive a $10 statement credit within 90 days. You can take advantage of this offer up to three times, for a total of up to $30 in statement credits. Online transactions do not qualify. Registration is limited. Other terms and conditions apply. Go to ShopSmall.com/OfferTerms for details. Register your card as soon as possible by 11:59 pm MST on November 29th, the sooner the better because they do limit the number of cards that can participate. Corporate and prepaid cards are not eligible for the offer. Each card you wish to use must be registered separately. In the nearly 10 years I’ve been a massage therapist, it has been really fun to see the shift in attitudes about massage therapy. It used to be viewed as more of a luxury, or something to do only for fun or a special occasion. While massage therapy is still an awesome way to celebrate an anniversary or birthday, more people are using it as a regular part of their health and wellness routines. Groups like the Touch Research Institute at the University of Miami have published great studies on the benefits of massage therapy. The National Center for Complementary and Alternative Medicine is another great resource for good, solid FACTUAL information. Really, the best way to see if massage can help you is to book one. Not every kind of massage is beneficial for every condition. For relaxation, circulation, and stress reduction, a Swedish or Hot Stone massage might be the ticket. For recovery after a sprain or strain, a myofascial or sports massage is best. If you’re struggling with migraines, a cold stone massage, craniosacral massage, or other focused massage could help. Also, because massage therapy can serve to help so many conditions, it is important to note that not every massage therapist specializes in every type of massage or in work with every type of injury. Our clients who are happiest and benefit most from their treatments have 2-3 therapists at the spa they see based on their needs. They might see Tiffany during their pregnancies and Justin for sports therapy. They might see Clair for deep tissue and stretching work, but Teresa for migraine help using Craniosacral techniques. All of our therapists are very flexible in their treatments, but they also are very familiar with what their colleagues specialize in so are always happy to make a referral. And NO! You aren’t cheating on your LMT if you try a different style of work! We have a little quiz (not super scientific, more for fun and info) to help guide you in choosing the best spa massage for you to try for your first time, or you can call and ask Kelly at the front desk what she recommends based on your needs! 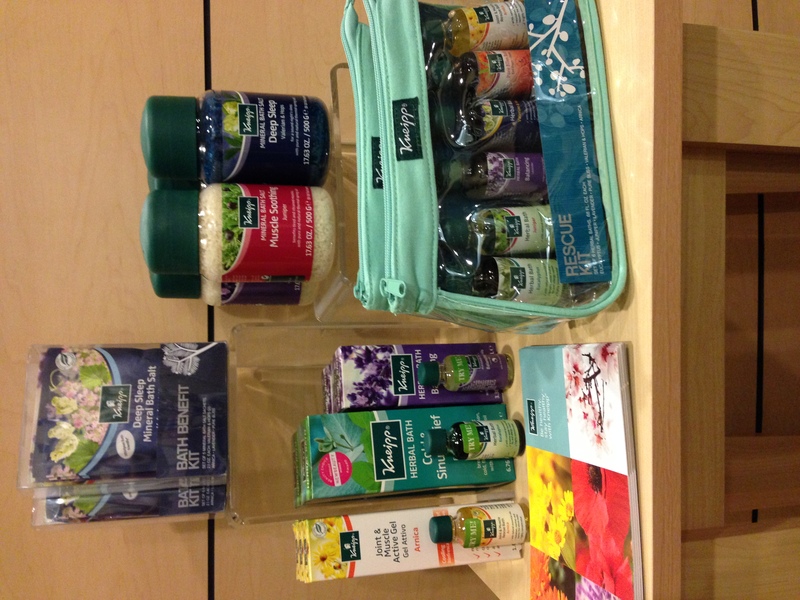 We are beyond excited to present the Kneipp (pronounced ka-nipe) line of aromatherapy and hydrotherapy products to our clients. Tiffany and I discovered this line while at the ISPA conference this fall and the products we took and tried were phenomenal. 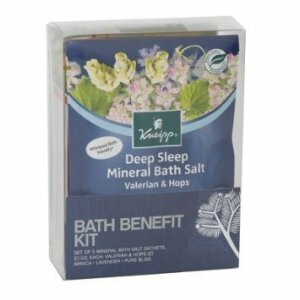 Kneipp was founded by Sebastian Kneipp, a 19th century priest and naturopath and that has been fine-tuned with many years of botanical competence and pharmaceutical experience. The salts used in the Kneipp pine are from an ancient underground salt water sea in central Germany that is the last remaining salt works in Europe. These minerals are free from chemical additives or environmental pollutants. They are high in magnesium, calcium, and zinc which absorb through the skin during bathing. We will be able to incorporate their arnica, joint, and muscle formulations into our sports massages and deep tissue work and we’re thrilled to have some home remedy options for our guests just in time for winter cold and arthritis season. 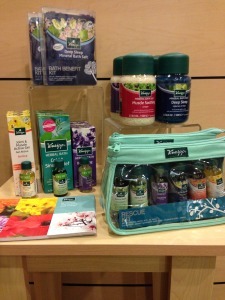 A VERY small selection of the great new Kneipp products we have! We were going to hold off on putting our the Kneipp products until we move the retail area to the expansion and have more space, but our team has already been raiding the order for their own use so we’ve started putting out what will fit in our current retail space, if you’re curious about anything else, don’t hesitate to ask…we might just have the product or solution you’re looking for hiding in waiting and we’d be happy to grab it for you! November Staff Picks Have Been Announced! November Staff Picks Have Been Announced! As always, enjoy 10% off our favorite products of the month. 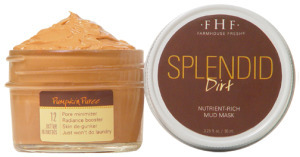 Clair picks this Farmhouse favorite because of its awesome moisturizing properties! Apply it before bed & while you sleep it transforms your skin from dry & itchy to soft & supple. Tiffany likes this product because it’s not a traditional sports drink full of sugar & sodium. Natural electrolytes from Hawaiian sea salt & natural energy from vitamin B12 make this the perfect drink before, after & during your workout! Cassie picks this luxurious soak because it’s great to combat your dry winter skin. Use it as massage oil or add it to your bath to moisturize those hard to reach places! Cammie loves this product for easy home care! A light oil that absorbs quickly to restore & maintain the health of your nails, great for cuticle/skin care too. Use with your favorite polish or on naked nails! 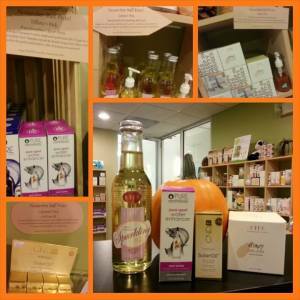 An assortment of our favorite products in November!